Eneraque has extensive experience in remote power generation projects. 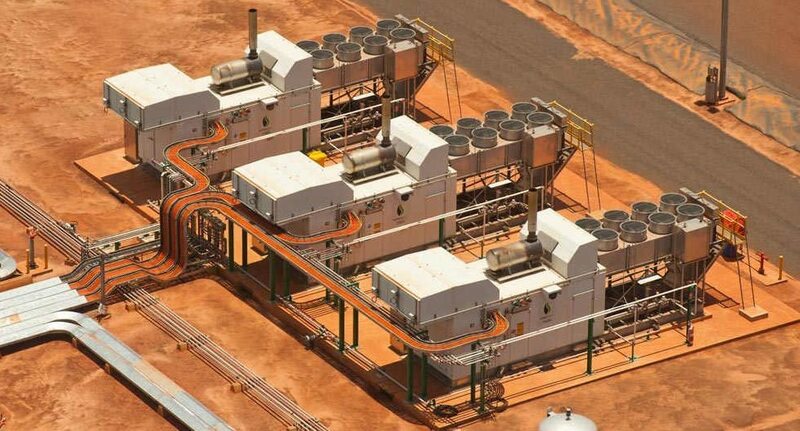 Gas engine driven power stations provide cost-effective on-site energy — lowering the overall costs of power generation. This type of system is well suited for modular construction and assembly in our factory, where the equipment can be built in a “controlled” environment, hence reducing site costs and subsequent transportation to remote areas. Controlled quality assurance The modular construction of our power units allows factory testing/pre-commissioning to be completed before the unit is transported to the site. This means we can obtain performance parameter approvals prior to delivery and you are assured of a quality product that performs according to your specifications. Economical use of on-site space – The engine, auxiliaries, motor control centre, and switchgear room of each modular unit can easily be designed and arranged to minimise the plant’s footprint on your site. Silencers, radiators, and air intake filters can be positioned on the roof of the modules or adjacent to the modules to ensure that no space is wasted. 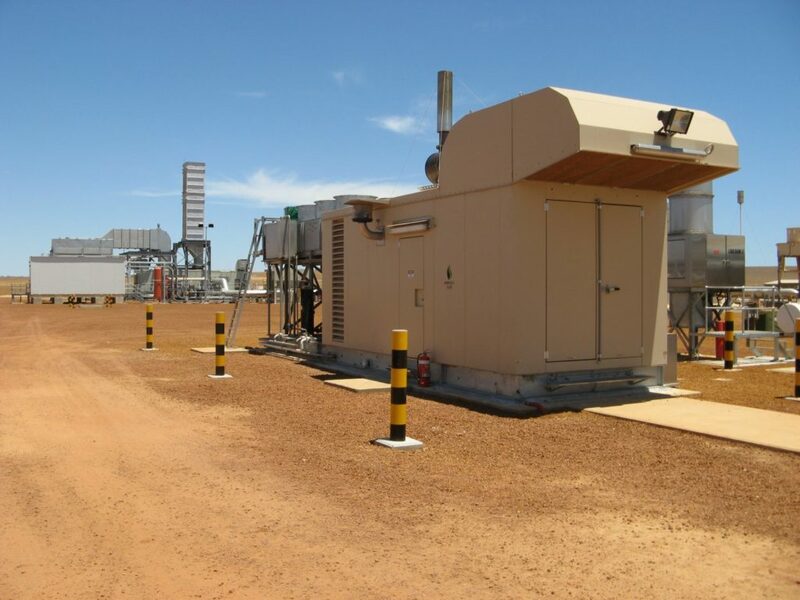 Eneraque has built many remote power plants designed to operate in the harshest conditions, including high ambient and desert locations, and have also built modules to withstand high cyclonic conditions. Fast turn-around (from order to delivery) – Modular plants enable us to deliver as complete a package as possible directly to the site. This shortens construction times for power plants (especially those located in remote areas). Eneraque turnaround — from order to delivery — for an on-site start-up power plant can be as little as six months. This translates into considerable savings in both construction and installation costs. Comprehensive in-house design through to factory acceptance testing, installation and commissioning. Designed specifically to suit site restraints, specific requirements, and applications where integrating into ?existing systems is essential. 30kwe-4200kwe in a single generator. Fully bunded base frames with mesh grate non-slip walkways. Specialist experience in anti-vibration TECHNOLOGY. Weatherproof enclosure with complete ventilation and sound attenuation. Enclosure-mounted monorail for component lifting. Approved access ladders and walkways to all roof mounted mechanical equipment. Air-conditioned control room included in each module. Control system programming and configuration of operator interfaces. All paints, surface treatments, and coatings required for corrosion protection of equipment. Labelling and identification of all plant and equipment. Thermal insulation as required to provide ‘personnel protection’. Complete fire, heat, flame, smoke, and gas detection equipment installed in each module. Performance testing of the plant in our factory. Provision of drawings and information — including operating and maintenance manuals, as-built drawings, functional description. Eneraque has successfully delivered hundreds of project solutions worldwide, across the industrial, civil, mining and commercial industries. We specialise in the engineering, design, manufacture and implementation of conventional and advanced solutions. © Eneraque 2019 | All rights reserved.